Our Michigan Medicine community is filled with thousands of individuals who have a passion for carrying out our mission. 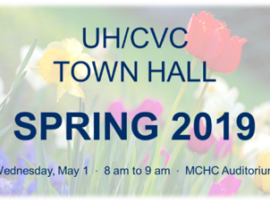 Among them are 2,700+ volunteers, who give more than 152,000 hours of their time and effort to make our institution a better place to heal, learn and carry out research discovery. Our volunteers show compassion and teamwork whenever they spend time with us to support our various efforts across the organization. Whether stocking labs, guiding patients to their appointments or bringing artwork to patient rooms, staffing gift shops or serving as ambassadors, these amazing individuals are integral to our overall team success. During National Volunteer Week, please make a special effort to recognize and thank all of our volunteers — their dedication is commendable and sets a great example of service leadership for all of us to follow. 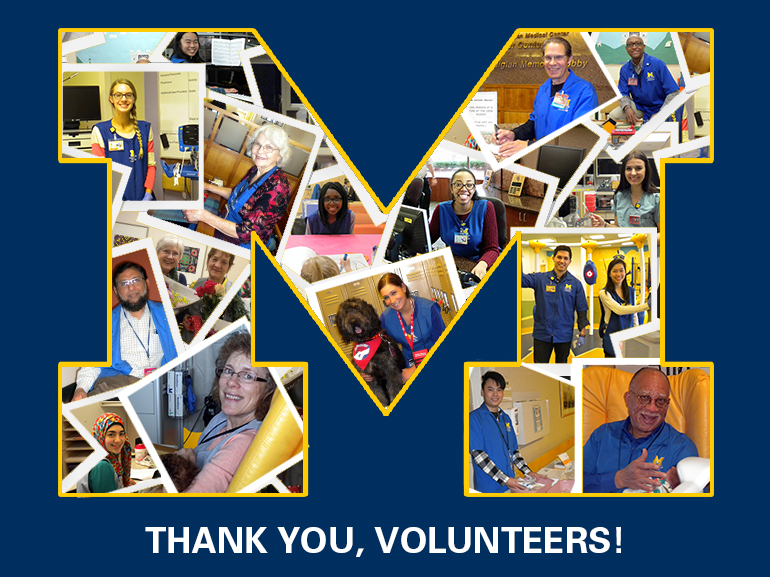 To our volunteers, a special note from me: “You Rock!” Thanks for all you do for the Maize and Blue.